Contemporary evangelicals have built a 'salvation culture' but not a 'gospel culture.' Evangelicals have reduced the gospel to the message of personal salvation. This book makes a plea for us to recover the old gospel as that which is still new and still fresh. The book stands on four arguments: that the gospel is defined by the apostles in 1 Corinthians 15 as the completion of the Story of Israel in the saving Story of Jesus; that the gospel is found in the Four Gospels; that the gospel was preached by Jesus; and that the sermons in the Book of Acts are the best example of gospeling in the New Testament. 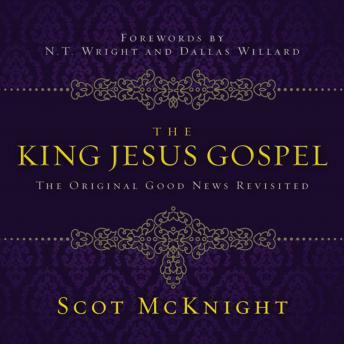 The King Jesus Gospel ends with practical suggestions about evangelism and about building a gospel culture.